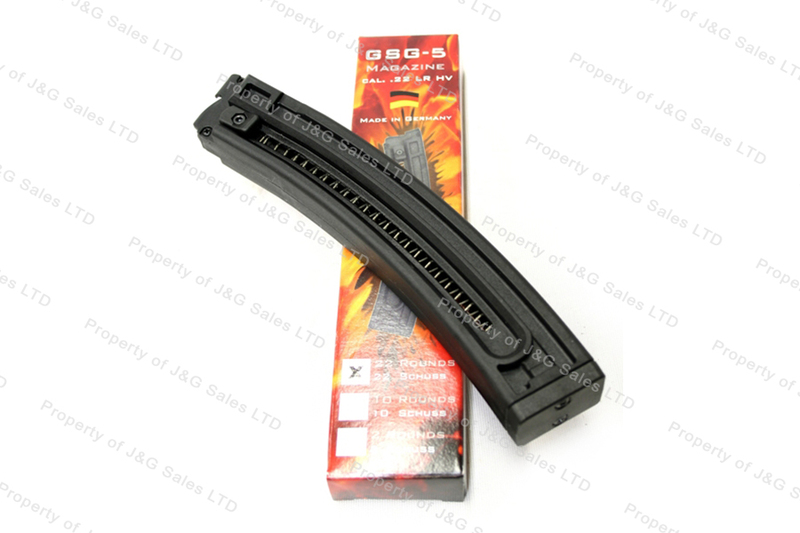 GSG-5 & 522 22LR 22rd Factory Magazine, Black, New. Rocket fast shipper and high quality magazines. I'm very happy with the purchase. Best price I have found on these magazines. If you are looking for more magazines for your GSG-5 or 522 buy these. These mags work great with federal 22 rounds. I found these magazines after searching at every shop in my local city and online. Even with the shipping fees I paid significantly less here. I had my order in just over 2 weeks which is totally okay since I have heard of some people getting put on back-order for months. I would recommend this product and this company to anyone looking for cool stuff for their firearms.